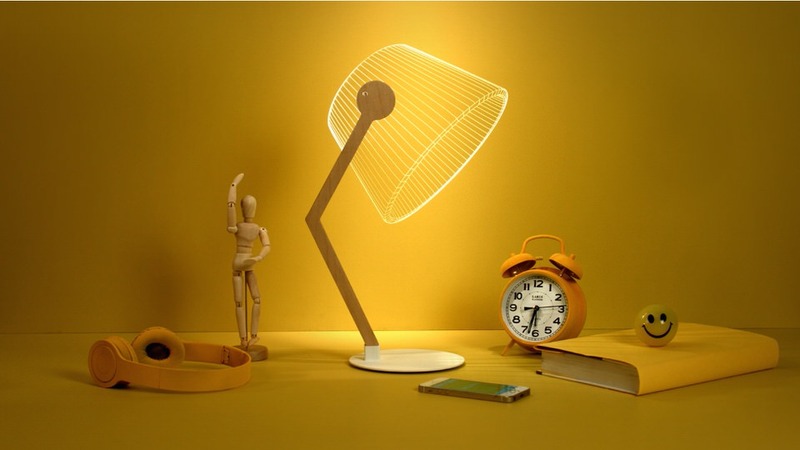 These delightfully minimalistic desk lamps are part of the latest series by Studio Cheha and are currently available through a Kickstarter crowdfunding campaign. 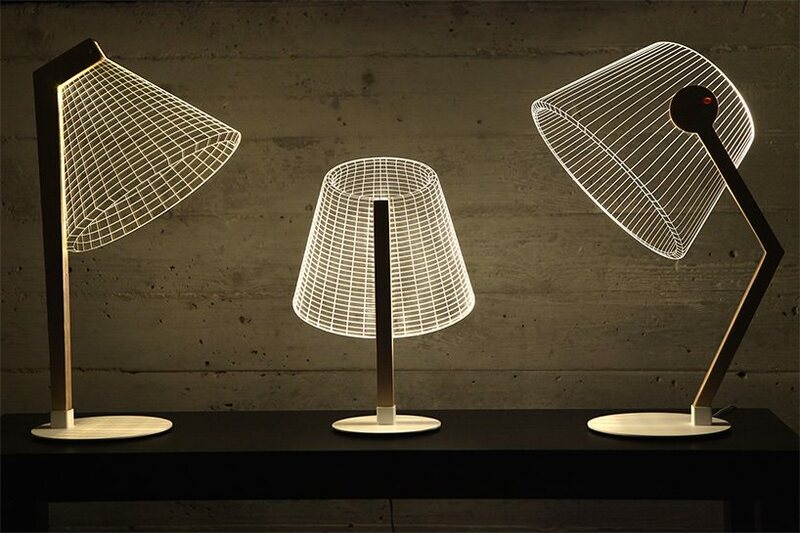 ZIGGi, DESKi and CLASSi cast an ambient glow from their wireframe ‘lampshades’ that is also strong enough to read by. 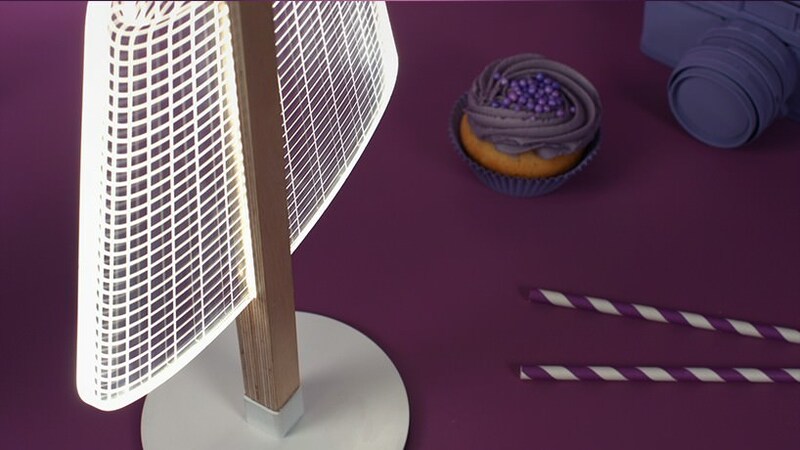 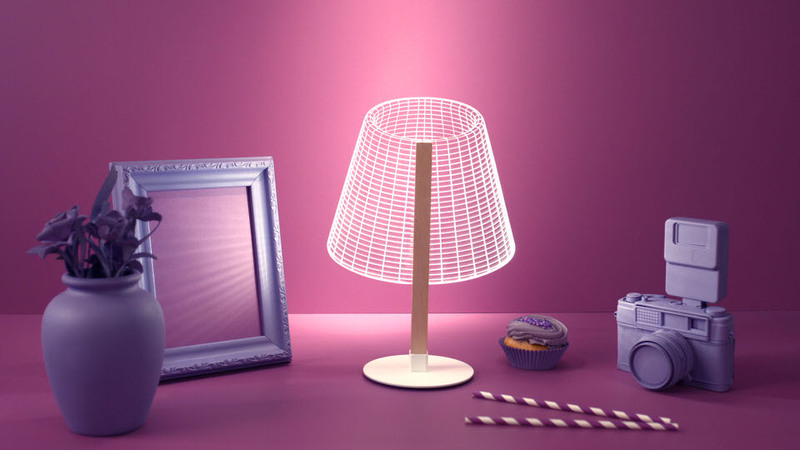 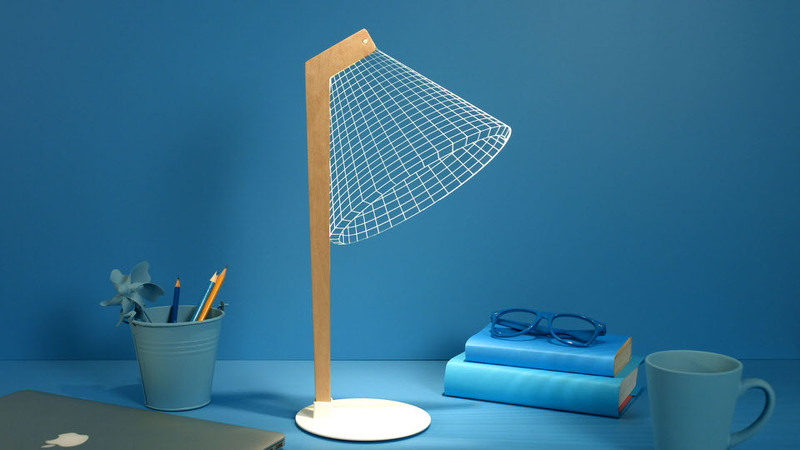 The desk lamp designs revolve around an optical illusion that creates the resemblance of traditional conical lamp shades by etching a wireframe design into a thin sheet of clear acrylic. 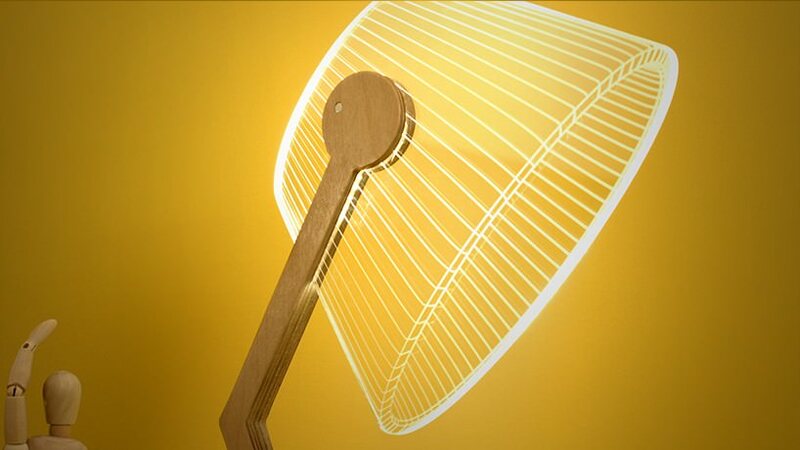 Light emanates from LEDs within the wooden stem of the lamps and passes freely through the transparent acrylic sheet making it largely invisible. 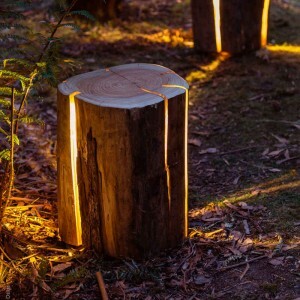 However when the light is interrupted by the rough translucent etchings, it is broken up and reflected outwards to appear as startlingly solid lines. 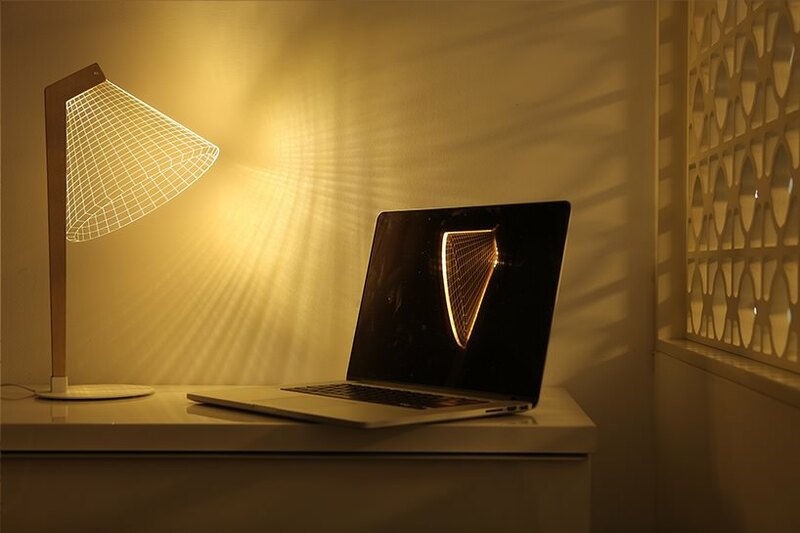 Studio Cheha already have an existing online shop selling similar lamps, with designs including a skull, teddybear and a mountain. 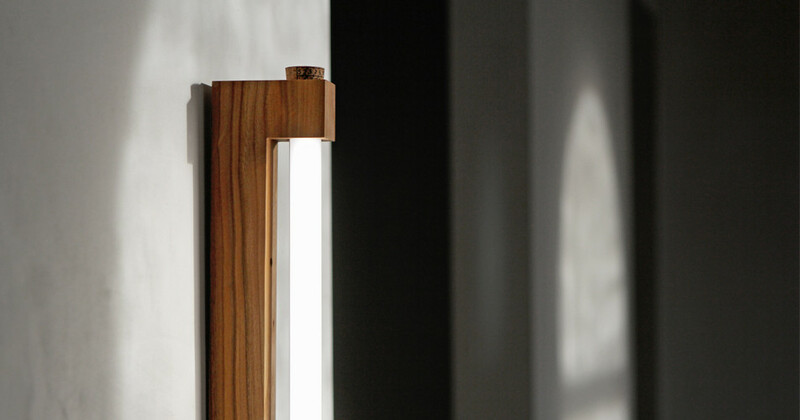 However this latest series features more powerful LED light sources, dimmer switches, and a slightly more serious tone than their initial designs. 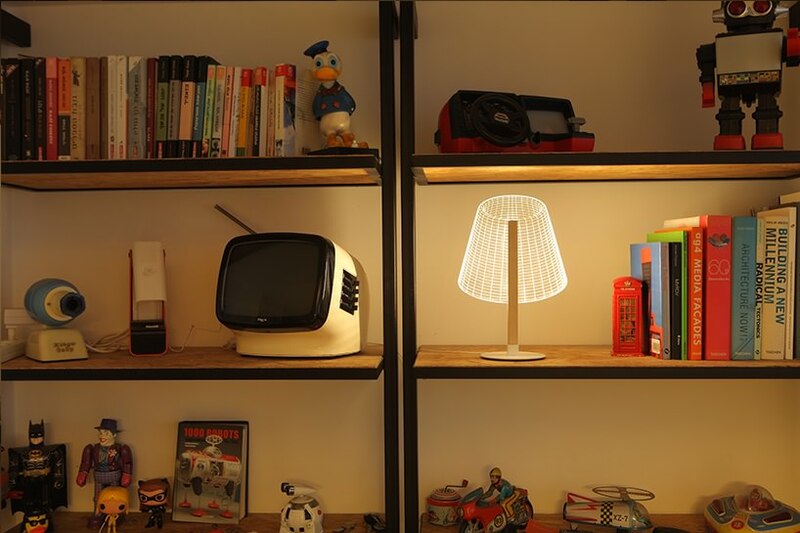 The Bulbing lamps are also considerably larger than their current offerings, at 40cm high compared to the 23cm high skull. 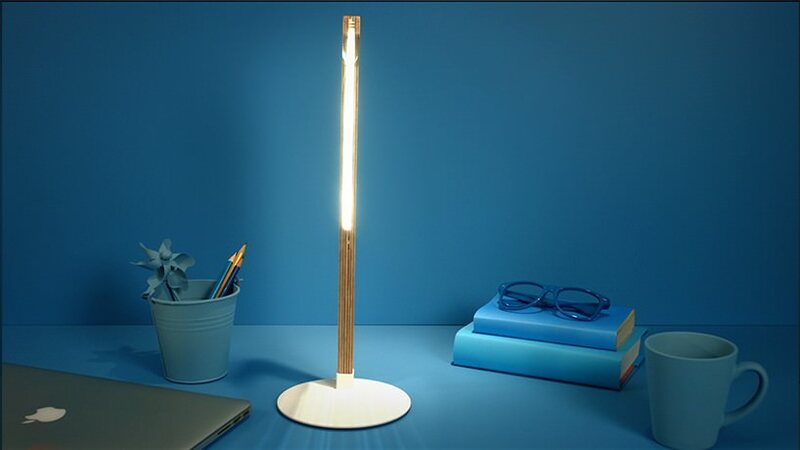 This campaign reached its funding target within 24 hours of going live and there’s still 20 days remaining in which you can pledge for one of the lamps (as of the 23rd of September 2015). 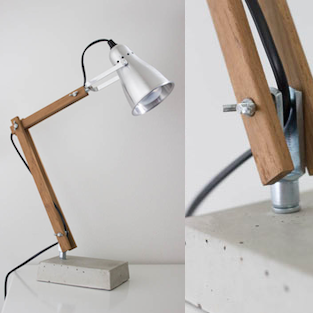 Prices start at £47 ($72) for the smaller CLASSi model, up to £51 ($77) for the ZIGGi or DESKi lamps. 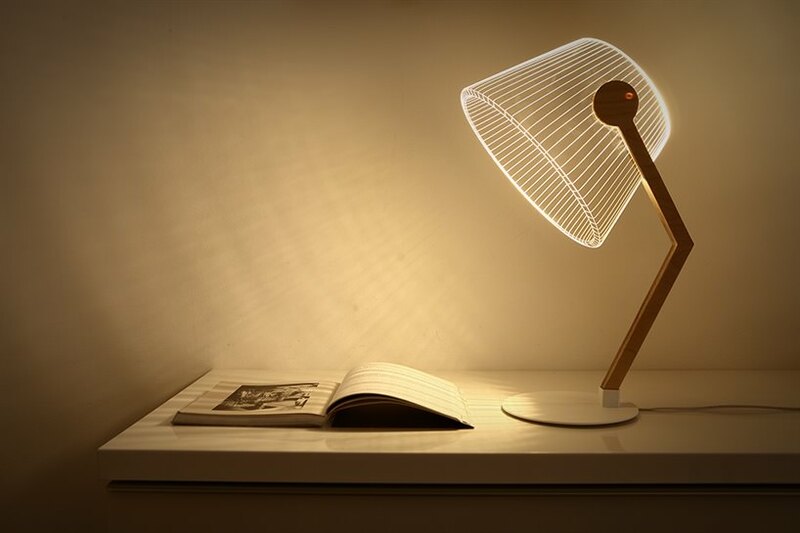 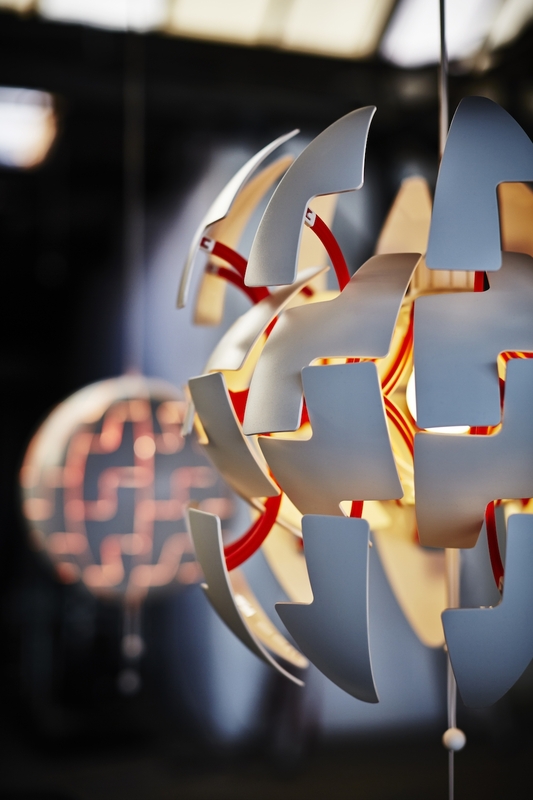 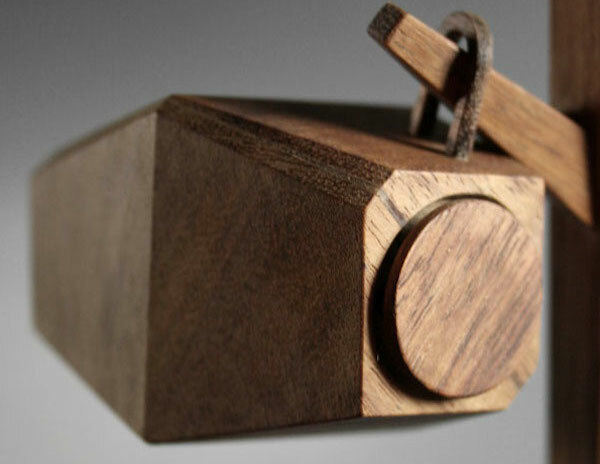 According to the Kickstarter page, Studio Cheha plan to start delivering their lamps in early 2016.